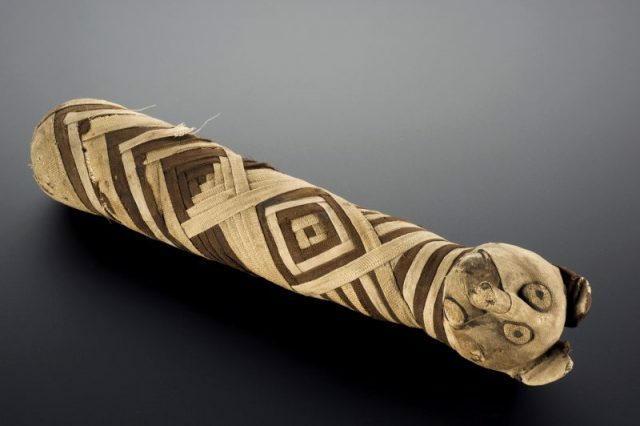 Mummified humans are a familiar discovery in Egypt, and recently come to light are mummified cats, dogs, and falcons. But mice? 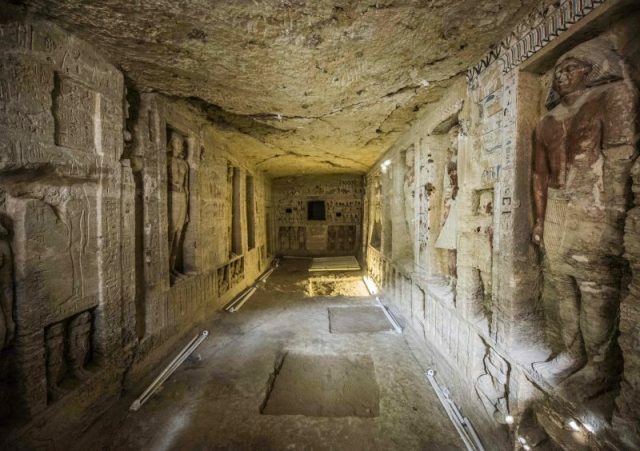 Yes, dozens of preserved mice were among the artifacts found in a decorated tomb unearthed in 2019 near the Egyptian town of Sohag. The mice and some other animals surrounded two mummified human bodies. The burial chamber contains paintings of funeral processions and people working in the fields. 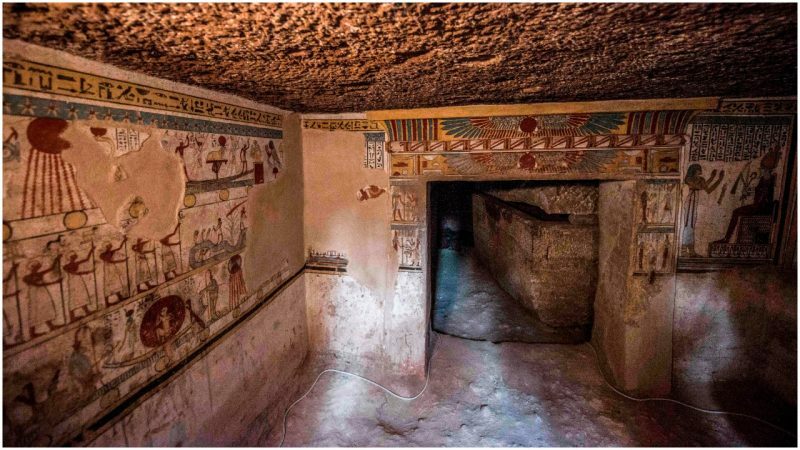 Experts say the tomb is over 2,000 years old, in the Ptolemaic period, and is the resting place of a senior official called Tutu and his wife. It was discovered in October when smugglers were arrested for illegally digging for artifacts. Among the other treasures found inside the tomb were fragments of painted, decorative faces. The government described Sohag as “one of the most historically rich cities in Egypt.” It is in a desert area near the Nile about 240 miles south of Cairo. Mr. Waziri said two mummies — a woman, age 35 to 50, and a boy, age 12 to 14 — were on display outside the shallow burial chamber. The 50 mummified animals recovered from the tomb included mice and falcons. “The tomb is made up of a central lobby, and a burial room with two stone coffins,” Waziri said. “The lobby is divided in two. It shows images of the owner of the burial room, Tutu, giving and receiving gifts before different gods and goddesses.” Ptolemaic rule spanned about three centuries until the Roman conquest in 30 B.C. Archaeologists have made other interesting and significant discoveries in the last six months. In December 2018 they found the final resting place of a high priest, untouched for 4,400 years, decorated with hieroglyphics. 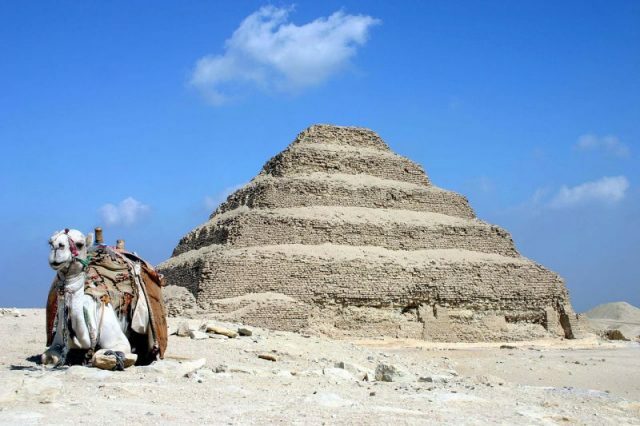 The tomb was found buried in a ridge at the ancient necropolis of Saqqara. It was untouched and unlooted. 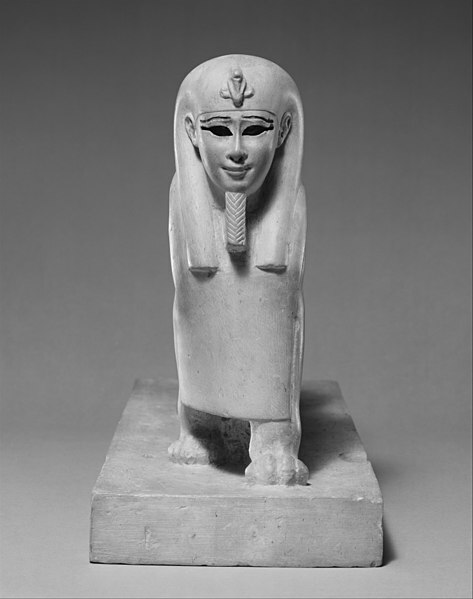 The high priest “Wahtye” served during the 5th Dynasty reign of King Neferirkare (between 2500-2300 BC), at the Saqqara necropolis in Egypt. In addition to the name of the deceased, hieroglyphs carved into the stone above the tomb’s door reveal his multiple titles. The grave’s rectangular gallery is said to be covered in painted reliefs, sculptures, and inscriptions, all in excellent shape considering how much time has passed. The reliefs depict Wahtye himself, his wife Weret Ptah, and his mother Merit Meen, as well as everyday activities that include hunting and sailing and manufacturing goods such as pottery.